I'm still in search of The league of Extraordinary gentlemen.
" 'I could be invisible!' I repeated. To do such a thing would be to transcend magic. And I beheld, unclouded by doubt, a magnificent vision of all that invisibility might mean to a man, - the mystery, the power, the freedom. Drawbacks I saw none. You have only to think!" The stranger came early in February, one wintry day, through a biting wind and a driving snow, the last snowfall of the year, over the down - walking as it seemed from Bramblehurst railway station, and carrying a little black portmanteau in his thickly gloved hand. (yes, that was all one sentence) He was wrapped up from head to foot, and the brim o his soft felt hat hid every inch of his face but the shiny tip of his nose; the snow had piled itself against his shoulders and chest and added a white crest to the burden he carried. 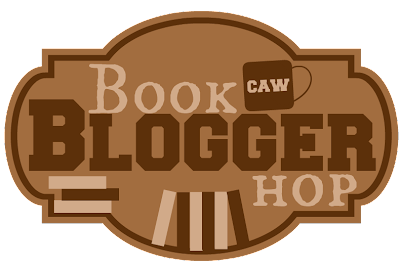 Yet again I will be joining the Book Blogger Hop hosted by Ramblings of a coffee addicted writer. Every week they will pop a question that you need to answer. Post your answer to your blog, enter your post to the linky provided, make yourself a cup of coffee and go visit the other blogs in the list. Today's question: Do you reply to every comment on your posts? My answer: Of course I do! I still stand in utter amazement when someone comments on any of my posts. So yes, I immediately (or as soon as possible) reply to a comment, mostly just to give a big THANK YOU! I am ALWAYS looking forward to your visits! Will have a look now. I've never read this! The excerpts sound really good. Enjoy! I'm listening to the audio recording on Librivox, very good reading. Very intriguing story, the main character is not a likable character at all - maybe that's what makes it so good. I loved this book, but not-s-much the film. Happy weekend! There's a movie??? Oooh.... I will have to see if I can find it. Also love the book. Happy weekend to you too Freda! Nice to read the classics. Enjoy! Hi Harvee! Thanks for visiting - by the way, I love your blog. It is soooo good. Will definitely stop by on a regular basis. I've never really been into the classics, until I discovered all the audio recordings! Now I'm constantly listening to one of the "older" books. Highly addictive. Wishing you a lovely weekend. It is a great deal of fun when you get comments. I love it. I reply to every comment too. (*Nod nod nod*). I agree with everything you say! On your blog and mine.... LOL!!! Happy weekend Elizabeth. (*clap hands together, BIG smile*) Why thank you Elizabeth! I'd like to read this book! I hope you find The League. The movie was fun. I get excited when I see someone's commented on my blog too. :-) I do try to reply to every comment, even if not right away. Hallo Wendy! Thanks for visiting my blog! I popped over to your blog, very nice! Will need to get back to your Sunday Post, will try to get to it today. I get excited when someone leaves a comment also. Thanks for visiting Teri! Will make sure to go and visit you. 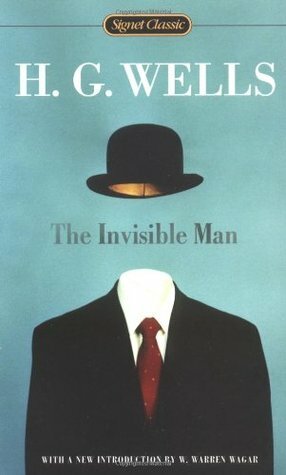 I loved The Invisible Man and the movie The League of Extraordinary Gentlemen. After watching the movie one time, I decided to read (or re-read in some cases) each of the books that the characters were based on. Fun reading project! Thanks again for stopping by my blog, and I look forward to visiting you again!